Say hello to my new booties! I haven’t had them long and I’m already head over heels (pardon the pun)! 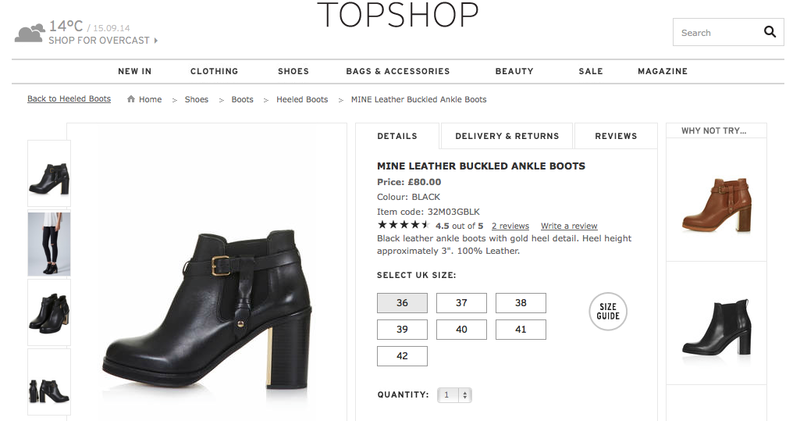 After reading Amelia Liana’s post where she expressed her love for her new Topshop boots, I wanted them and listen up ladies, I bought them.... but at a third of the price! I bought these boots (pictured above) online from eBay here for £22.99 plus £3.99 p&p, a total of £26.98, that’s a saving of over £50! I couldn’t believe my eyes when I found them online, they might not be real leather, but they are exactly the same! The cute strap, buckle detailing, the fact they are slip on, elasticated and with the gold heel, a pretty decent dupe for Topshops MINE Leather Buckled Ankle Boots which are on sale for £80.00! Madness. I didn’t even think twice about buying them. 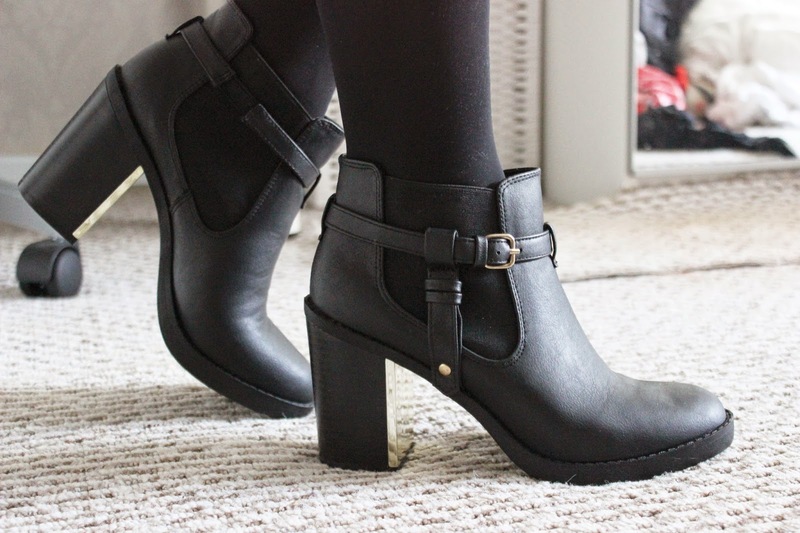 I received them in the post within 4 days of ordering them (from UK seller) and I was pleasantly surprised at the quality of these boots, they are just as good, if not better than previous boots I have owned from high street stores, such as New Look. They heel isn’t that high, so are comfortable to wear throughout the day and they look pretty good when worn with jeans, skirts and dresses. 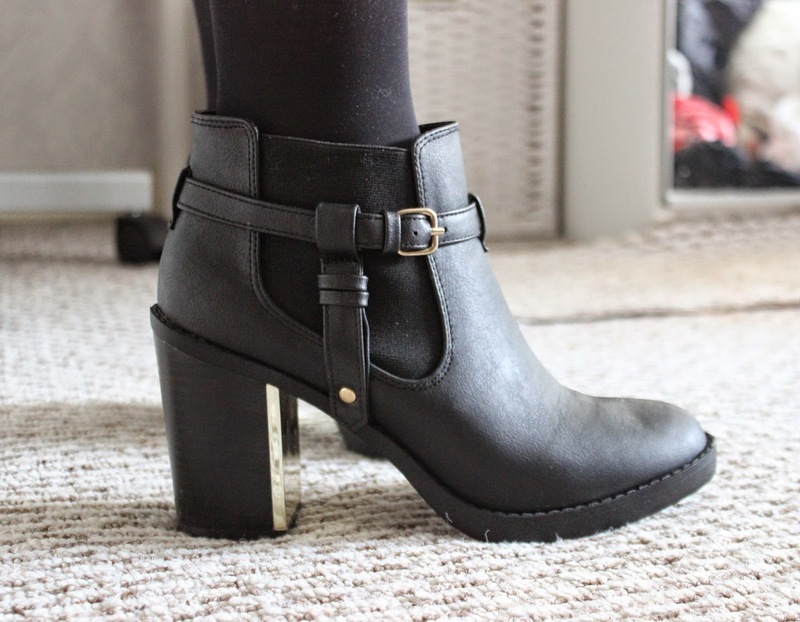 They are the perfect A/W boots. Love them. Looks like #FeelingFrugal paid off!